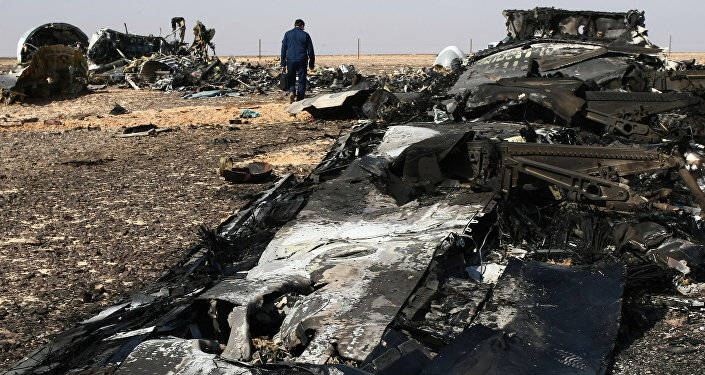 French satirical magazine Charlie Hebdo published two cartoons about the Russian passenger plane crash in Egypt. A Russian parliamentarian has called the cartoons an insult to the memory of the victims to Russia’s deadliest air accident in history, which took the lives of 224 people. On Thursday, the magazine published two cartoons and a joke about the air crash over the Sinai Peninsula. The cartoon apparently refers to what is known in France as the “Air Cocaine” affair, an incident with two Frenchmen accused of flying somewhat 680 kilos of cocaine from the Dominican Republic into France. The cartoons have already been called blasphemy and insult to the memory of the victims of the horrible tragedy. “I think it is blasphemy and a mockery of the memories of the victims of the tragedy. No mass media outlet should be allowed to do this, no matter which genre they specialize in,” said Igor Morozov, Russian parliamentarian and member of the Russian parliamentary Committee on Foreign Affairs. "Laughing at the catastrophe that occurred in Sinai is unacceptable. Trying to be original, Charlie Hebdo just uses shock tactics. It forces one to recall the tragedy that occurred in January 2015. I think the journalists themselves provoke violence," said the member of the parliament. Charlie Hebdo is known for publishing controversial caricatures. On January 7, the Paris office of the magazine was attacked by Islamist gunmen who killed 12 people and wounded 11 after Charlie Hebdo published cartoons of the Prophet Muhammad. Russian Foreign Ministry spokeswoman Maria Zakharova also commented on the cartoons on her page in Facebook with one single question: "Is anyone still 'Charlie?'" The comment refers to the slogan 'JeSuisCharlie' (I am Charlie) and hashtag campaign that grew spontaneously after the attack in January. It was used to show empathy with those killed in the attack. Zakharova also called the Charlie Hebdo cartoon a "mean provocation". Earlier in September Maria commented on another cartoon of Charlie Hebdo on the death of a Syrian child. "You know why I am not JeSuisCharlie?” she then wrote. “Because, to my mind, they deceive both us and themselves by affirming that there are no forbidden topics for their humor. If it were really so, then we could understand a cartoon of a dead Syrian child (not accept, but only understand)." "But only under one condition – if the next day after the attack they would have published a cartoon of their dead colleagues."